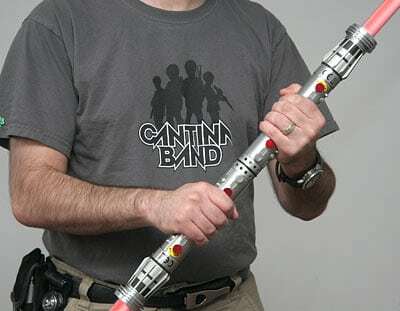 MEGATechNews Deals – Get $20 off $100 on Star Wars Gear at ThinkGeek! This deal is brought to you by one of the e-tailers that is most dear to our hearts: ThinkGeek. This month, they are unleashing the force on a range of Star Wars related products on their site ranging from the Tauntaun Sleeping Bag to the STAR WARS Wampa Ice Scraper. If you want to broadcast to the world that your clan has a high count of “Midi-chlorians” you can pick up some Star Wars Family Car Decals for the trooper transport (aka Minivan or SUV). To get $20 off $100+ Star Wars Stuff at ThinkGeek you first have to spend up to $100 on Star Wars stuff before shipping, which shouldn’t be too hard. Next, you’ll need to use the code USETHE4THLUKE (har har!) to trick the shopkeeper into thinking that these are not the dollars you are looking for. The sale goes from May 2nd to May 6th so make sure you hurry up and go grab your Star Wars Products from ThinkGeek ASAP. I guess Mother’s Day is around the corner so you might want to add a Wookie Bathrobe to the order for her…which you’ll conveniently buy in the “wrong size” and borrow because she didn’t like it anyway.